My name is Christopher Evans, and I’m a professional copywriter and direct-marketing expert. If you’re okay with declining sales, slow growth and unhappy customers… I won’t be able to help you. And if you’re satisfied with a website that confuses visitors, sales pages that don’t sell, and emails that no one opens… I won’t be able to help you either. Then welcome to my office! Sit down and take a load off. You’ve come to the right place. Because for over 25 years I owned and managed a successful six-figure business here in Colorado. I know the challenges of being a small business owner. I was responsible for marketing, sales, project design, cost estimating and project management. Additionally, I managed specialty workers, employees, payroll and customer care. Frankly, I was wearing too many hats… I was ill-equipped to handle it all. And my business often suffered because of it. I spent too many hours on tasks I was not very good at! And too few hours at home with my family. When I retired, I took up an old hobby… writing. 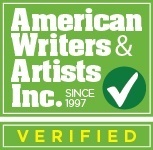 A friend told me I was a natural fit for copywriting, and suggested I check out American Writers and Artists Inc. (AWAI), long known as the “Harvard” of copywriter training. I liked what I found, and since joining AWAI I’ve been trained in all of the latest copywriting skills and techniques. And that in-depth training was from some of the finest copywriters in the world. I now enjoy using these skills and techniques to help small businesses increase sales and revenue. Which leaves small business owners more time for what they’re good at… running their company. The digital information age is upon us in full force. Your business needs to meet this challenge head-on. Your marketing needs to be diverse, adaptable and compelling. I have the training and resources to meet that challenge. I’ll put in a good word for you.